The day has arrived! 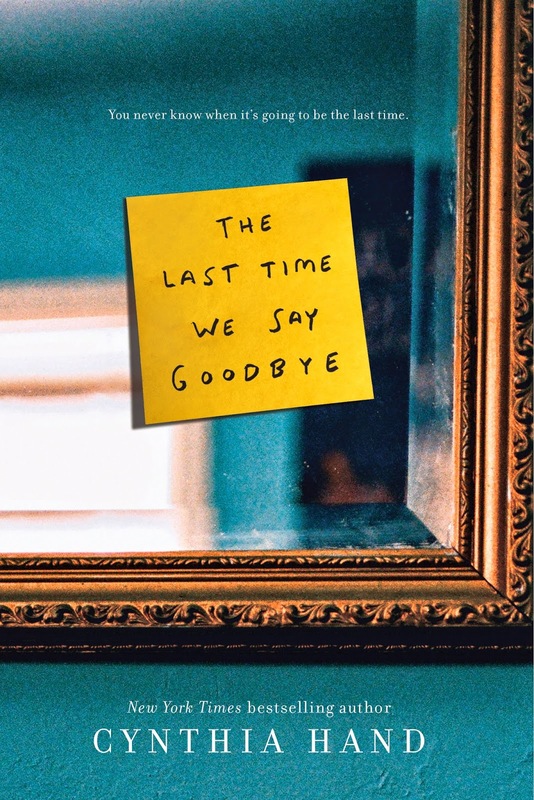 I have finally been given the green light to share the cover of my latest novel, THE LAST TIME WE SAY GOODBYE. So there you have it! A cover! A description! A release date: February 10, 2015! It's all coming together! I feel that I hit the jackpot with this cover. It's gorgeous, first of all --the colors, the image!--but beyond that, I feel it truly reflects what happens in the book. And that is a rare thing. Covers, you see, are meant to be advertisements--their sole purpose to to get some poor unsuspecting reader to pick up the book and then buy it. So often what's on the cover is more a reflection of marketing than what's at the heart of the book. That's okay--it's meant to be like that. I mean, I loved my covers for UNEARTHLY, but at no time did my main character Clara ever stand around outside in a formal gown. But the covers did their job--they got people to buy my books. But this cover does both so beautifully. It is pretty and enticing and just begs to be picked up. And it FEELS like the story. I can feel Lex in that room, looking at that note. A while back the people over at The Midnight Garden blog asked me to read some of the mean reviews I've received for Unearthly out loud. I had a blast filming this. It always blows my mind when reviewers are out and out mean in their reviews, because they have to know that there's a good possibility that the authors will read them.